The Film Thickness (FT) module measures the thickness of optically transparent films and is optionally available for MT2010/MT3000. FT measurements are based on the evaluation of the light spectrum of a laser beam that is reflected on the film layer boundaries. This method can measure single, double, and even triple transparent layers on non-transparent substrates. 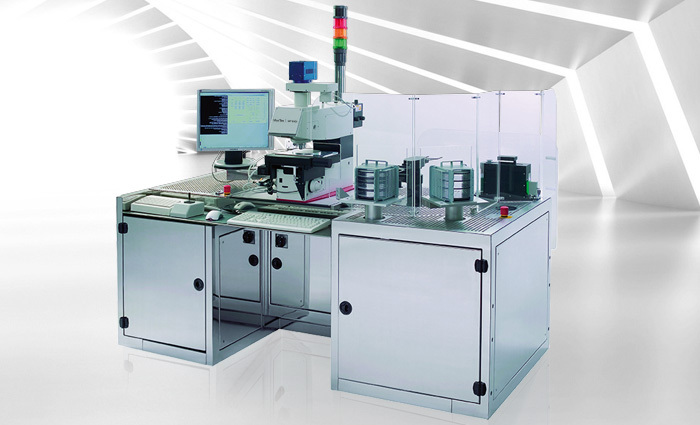 A variable laser spot size allows for targeted measurements in the active area of integrated circuits. A comparison of spectral analysis of the reflected light intensity, once measured with and once without the layer of unknown thickness. Non-polarized white light incident perpendicularly to the surface is applied. The resulting spectra depend on the materials of the substrate and the film as well as on the thickness of the layer. The spectral evaluation is performed fully automatically applying complex mathematical algorithms incorporated in the MT2010/MT3000 software. Depending on the film thickness two different methods can be used: either FFT or FIT. Thick films are evaluated applying the FFT method. Thin and multiple films are measured using FIT. FIT finds the best match between the measured spectrum and a theoretical model spectrum The model parameters then reveal the layer thickness. The model parameters can deal with up to three different layers. The following figure shows a measured reflectance spectrum of a film with two layers in blue and the calculated best-fit model spectrum in red. 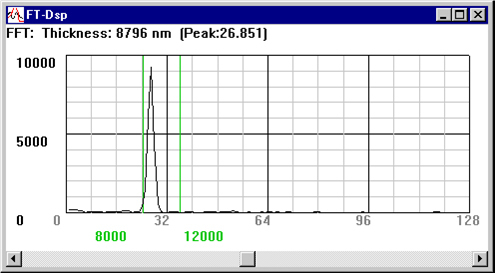 Blue: measured reflectance spectrum of a two layered film. The optional MueTec FT measurement application provides the customer with the flexibility that allows reliable film thickness measurements of thickness ranges from 40 micron down to 10nm. 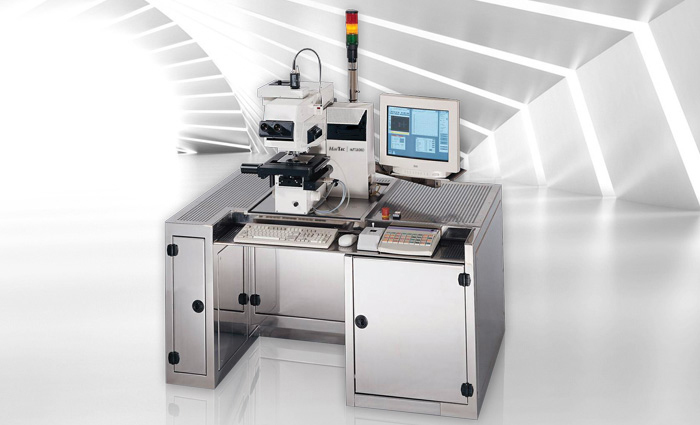 The MT2010 is designed for high precision defect inspection and metrology tasks on masks up to 6”. The system uses different illumination sources in transmitted and reflected light such as visible, I-line (365nm) and DUV (248nm). MT2010 comes with laser autofocus and an anti-vibration isolating base frame with light tower.